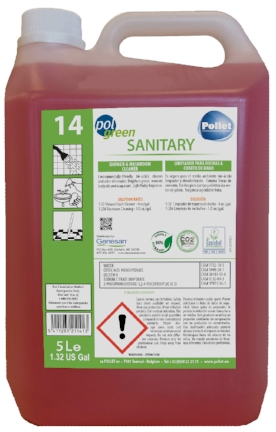 A unique bio-acid cleaner suitable for daily use in the cleaning of restroom fixtures, showers, locker rooms, etc. Counteracts the build-up of body oils, soap scum, mineral deposits, etc. Acidity removes stains from porcelain and whitens grout.